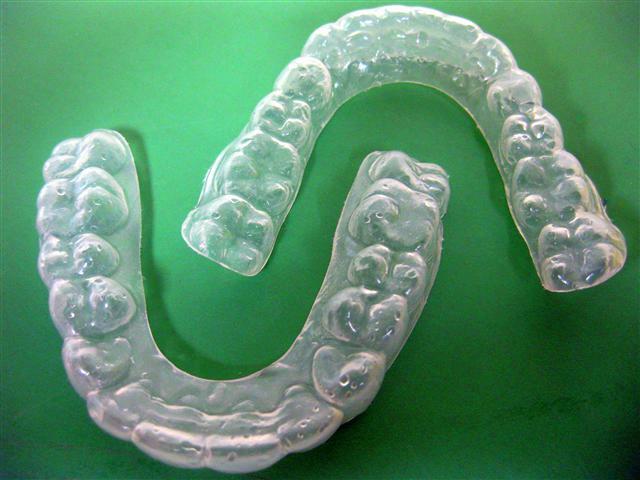 Custom Tray Teeth Whitening System involves the use of clear plastic trays that have been custom fabricated just for you and adjusted so they fit comfortably over your teeth. These whitening trays are then sent home with you along with a quantity bleaching gel (either carbamide or hydrogen peroxide whitener, depending on the doctors' determination). When performing your treatments, the whitener is placed into your bleaching trays and then seated over your teeth. The trays are worn for either an hour per day (or overnight), for a series of days or weeks per our doctors' instructions, as the effects of the whitening process take place.